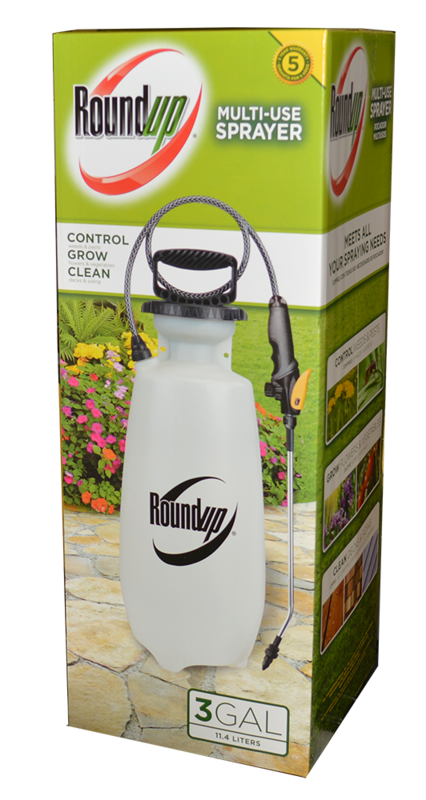 Whether you need to kill weeds, clean your deck, or control bugs, the Roundup® 190012 3-Gallon Multi-Use Sprayer can handle the job. It's fast, and easy to use and only requires one step to assemble. 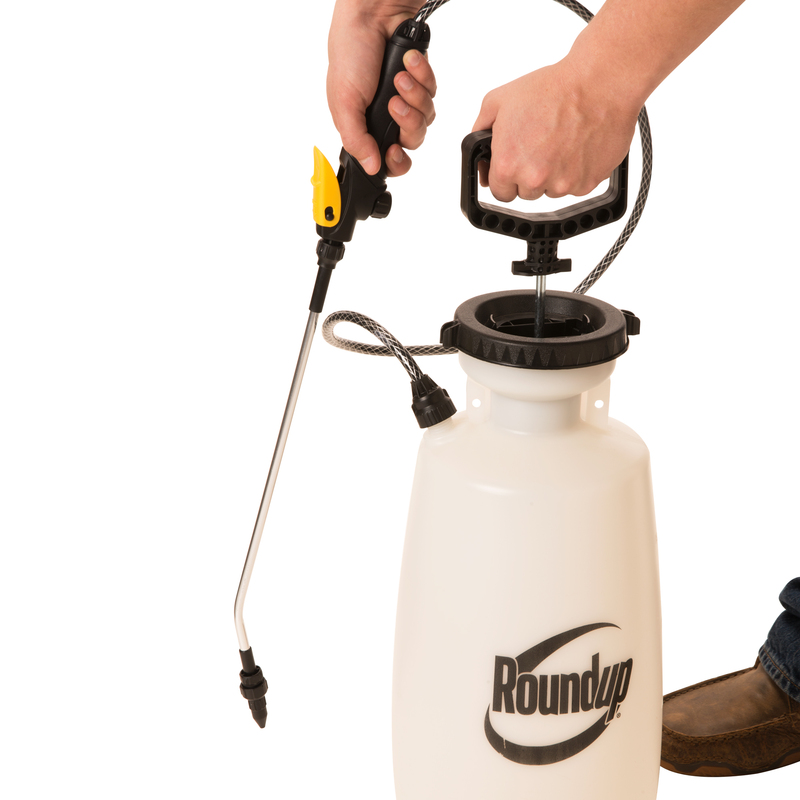 The sprayer has a durable, aluminum wand with comfort grip shut-off featuring a comfort grip and lock for continuous spraying. When it's time to refill, the pressure release cap safely releases the pressure down and away from you before opening the tank to prevent accidental chemical spray. Save your time and energy with the highly efficient pump - requires 25% fewer strokes compared to the leading competitor. Includes 3 nozzles for all your spraying needs: poly adjustable (solid stream to fine mist), high volume flat fan, and low volume flat fan. Also accepts TeeJet nozzles. Consider using concentrates to save money and reduce waste! Buy concentrated products, add your own water, and save $10 or more per gallon. Concentrates offer complete mixing flexibility allowing you to choose how much to make and use. Also a single quart of concentrate replaces 5 or more pre-mixed, ready-to-use containers - reducing plastic packaging waste by over 500%! Follow the direction on the box for mixing with Roundup® concentrates. People and pets may enter treated areas after spray has dried. For all your home and garden needs. Easy one-step assembly. Fill, pressurize, and spray. Safe, pressure release cap sends vapors and liquids down and away when top is opened. Durable metal wand with comfort grip and lockable shut-off for continuous spraying. Includes 3 nozzles for all your spraying needs: poly adjustable, high volume flat fan, and low volume flat fan.